Roger Federer has reached his 12th straight Swiss Indoors semi-final after beating France’s Gilles Simon in three sets in Basel. The home favourite and eight-time champion won 7-6 (7-1) 4-6 6-4 in just over two and a half hours. World number three Federer, 37, saved a set point and then dominated the tie-break as he took the first set. 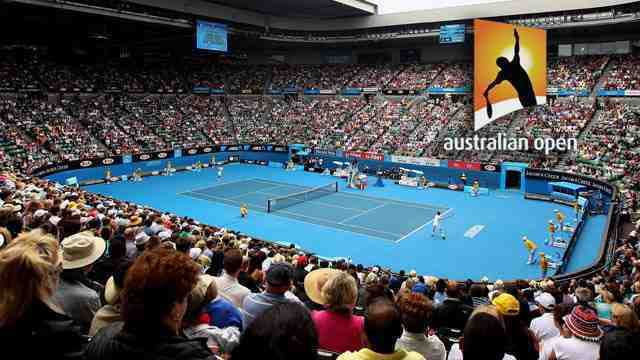 There were five breaks of serve in the second as Simon levelled, before Federer won the decider. Apart from 2016 when he was absent from the tournament, Federer has reached every final since 2006. His last quarter-final defeat was 19 years ago, as an 18-year-old against Britain’s Tim Henman, and he has only lost once in 14 previous semi-finals appearances. The 20-time Grand Slam winner will play either Greek Stefanos Tsitsipas or Russian Daniil Medvedev in the last four. German second seed Alexander Zverev beat Spain’s Roberto Bautista Agut 7-5 6-3 and will play Romanian qualifier Marius Copil in the other semi-final. At the Vienna Open, top seed and home favourite Dominic Thiem lost in the quarter-finals to Kei Nishikori, the Japanese winning 6-3 6-1. Nishikori will play Kazakhstan qualifier Mikhail Kukushkin in the semi-final, while South African second seed Kevin Anderson will play Spain’s Fernando Verdasco. Rafael Nadal and Novak Djokovic are set to battle for the No. 1 ATP Ranking next week in Paris as the Spaniard returns from injury to take his place atop the Rolex Paris Masters draw. Playing his first match since retiring during the US Open semi-finals with a knee injury, Nadal enters the tournament with a 215-point lead over Djokovic in the ATP Rankings. But the Monday after the tournament the Spaniard will drop the 180 points he earned by reaching the Paris quarter-finals last year. So, with the 5 November Rankings in mind, Nadal in effect holds a razor-thin 35-point lead in the 52-week ATP Rankings over Djokovic, who missed Paris through injury last year and has no points to defend. Nadal has held top spot since 25 June after several lead changes with Roger Federer earlier in the year. The 33-time ATP World Tour Masters 1000 champion has held the No. 1 ATP Ranking for 195 weeks, sixth in the all-time list (since 1973). Should he dethrone Nadal on 5 November, Djokovic would be the first player to come from outside the Top 20 and reach No. 1 in the same season since Marat Safin in 2000. (Safin was as low as No. 38 on 28 February 2000 before becoming No. 1 on 20 November 2000). Djokovic, who underwent elbow surgery in February, began the year with a 6-6 record and slipped to No. 22 on 18 June. He has spent a total of 223 weeks at No. 1 but last was on top on 31 October 2016. 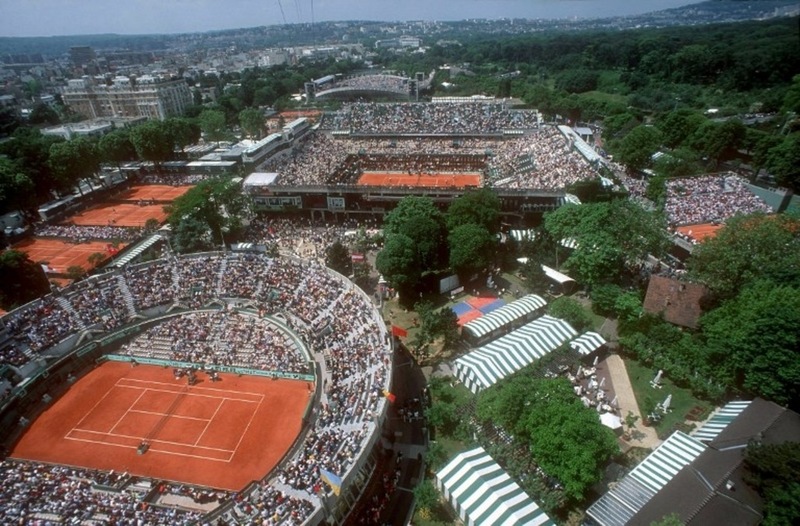 In Paris Djokovic is also trying to win a third consecutive ATP World Tour Masters 1000 title (Cincinnati, Shanghai) and equal Nadal’s record of 33 titles at the elite level. Whichever player finishes one round better than the other in Paris will be No. 1 on 5 November. Should they both lose in the same round, Nadal will be No. 1. Regardless of what happens in Paris, the coveted year-end No. 1 ATP Ranking will be decided at the Nitto ATP Finals, to be held 11-18 November in London, where 1,500 points await an undefeated champion. Both Nadal and Djokovic are attempting to finish year-end No. 1 for a fifth time, tying Roger Federer and Jimmy Connors and moving closer to Pete Sampras’ record of six year-end finishes at the top. Seeking his first Rolex Paris Masters title, Nadal will open against the winner of French veteran Jeremy Chardy and fellow lefty Fernando Verdasco, who has a history of pushing his countryman to the limit. Should he reach the quarter-finals, Nadal is projected to meet Dominic Thiem in what would be a reprise of their epic US Open quarter-final last month, which Nadal won in a fifth-set tie-break. Djokovic, who opens against the winner of a qualifier and his Roland Garros conqueror Marco Cecchinato, is seeded to meet fast-rising World No. 16 Stefanos Tsitsipas in the third round. The Serb was one of four Top 10 victims the #NextGenATP Greek claimed en route to the final of the Rogers Cup in August. Tsitsipas won his first ATP World Tour title last week in Stockholm and is alive in this week’s Basel quarter-finals. In the quarter-finals, four-time tournament champion Djokovic is seeded to meet Marin Cilic, who is chasing one of the three remaining spots at the Nitto ATP Finals. In Djokovic’s bottom half of the draw, third seed and 2011 champion Federer is looking at a challenging opening-round match against the winner of Milos Raonic and 2008 champion Jo-Wilfried Tsonga. 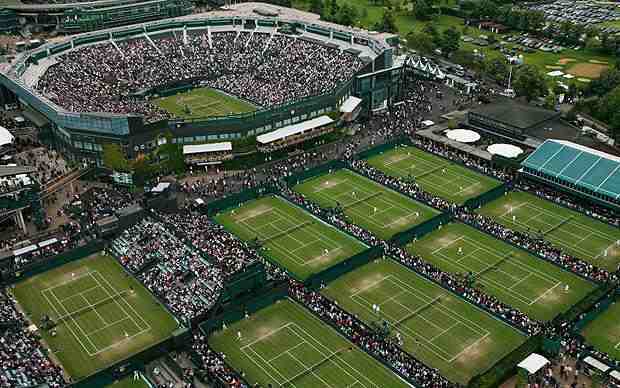 Should he reach the quarters, Federer would face Kevin Anderson or Kei Nishikori, both of whom are chasing London berths. Another London hopeful and former Paris finalist, John Isner, opens against the winner of Pierre-Hugues Herbert and Mikhail Kukushkin, with a potential third-round challenge against Karen Khachanov or Filip Krajinovic, who defeated the American in a third-set tie-break in last year’s semi-finals. Fourth seed Alexander Zverev, already a winner of three ATP World Tour Masters 1000 titles, opens against a qualifier or #NextGenATP American Frances Tiafoe. He is seeded to meet Isner in the quarter-finals, in what would be a re-match of this year’s Miami final. Main draw play begins Monday. Top seed Roger Federer was made to dig deep in the Swiss Indoors Basel quarter-finals, battling past French veteran Gilles Simon 7-6(1), 4-6, 6-4 on Friday. The 37-year-old has now reached the semi-finals at his hometown tournament in 12 consecutive appearances. The Swiss is 15-1 in Basel quarter-finals, with his only loss at this stage of the event coming 19 years ago against then-World No. 6 Tim Henman. Federer was just 18 years old. The eight-time champion and 13-time finalist has now won 18 consecutive matches at the ATP World Tour 500-level event, where he is pursuing his 99th career tour-level trophy. If Federer goes on to triumph this week, he’ll earn his fourth title of the season, finishing in the winners’ circle that many times in a year for the 14th time. And while Federer got through after two hours and 34 minutes, it was anything but easy for the Swiss. Simon has shown good form this year, winning titles in Pune and Metz. And the Frenchman showed it against Federer, keeping the home favourite from gaining any rhythm, especially off his dangerous forehand side. Simon served for the opening set, and then held a set point on the eight-time champion’s serve while leading 6-5. But Federer, who made a slew of unforced errors off the forehand wing early, reduced his mistakes to cruise through the ensuing tie-break. But the Frenchman maintained his focus, mixing up his paces well in the second set to continue frustrating the Swiss, forcing a decider. But despite coughing up an early break in the third set, Federer stayed the course and advanced, despite getting broken five times, when Simon missed a two-handed backhand long. Federer has now won seven consecutive FedEx ATP Head2Head matches against Simon, leading their rivalry 7-2. Federer will next face Russian Daniil Medvedev, who beat #NextGenATP Greek Stefanos Tsitsipas 6-4, 3-6, 6-3. It will be a re-match of the pair’s first FedEx ATP Head2Head meeting, which took place earlier this month at the Rolex Shanghai Masters, where Federer won in three sets. Medvedev now leads the ATP World Tour with 37 hard-court match wins in 2018, breaking a tie with Argentine Juan Martin del Potro. Tied for third on the list are Kevin Anderson and Federer, with 30 wins apiece on the surface. Medvedev is playing his best tennis, recently claiming his maiden ATP World Tour 500-level trophy at the Rakuten Japan Open Tennis Championships 2018 in Tokyo, which was his third trophy of the season (also Sydney and Winston-Salem). The 22-year-old cracked the Top 20 of the ATP Rankings for the first time this week at No. 20. Alexander Zverev continues to build momentum with less than two weeks to go until the Nitto ATP Finals, defeating Spaniard Roberto Bautista Agut 7-5, 6-3 on Friday to reach the semi-finals of the Swiss Indoors Basel. Before the recent Rolex Shanghai Masters, Zverev failed to reach the semi-finals in four consecutive tournaments. But since arriving in Shanghai, the 21-year-old has won six of seven matches, with all six of those victories coming in straight sets. The second seed leads the ATP World Tour with 52 match wins this season. The World No. 5 is trying to win his 10th ATP World Tour title, and his fourth of the season. No German has triumphed in Basel since 1994, when Michael Stich lifted the trophy. In the tournament’s history, since 1975, only one other German has emerged victorious at the event: Boris Becker in 1993. Zverev and Bautista Agut battled it out from the back of the court throughout the match, with both players attempting to hold their ground on the baseline. The Spaniard did well to keep Zverev from controlling points with his flat, penetrating groundstrokes. But the German had too much weight of shot, and his weapons — especially his two-handed backhand — were ultimately too strong for the eighth seed. Zverev, whose lone previous appearance in Basel came four years ago, now leads Bautista Agut 4-2 in their FedEx ATP Head2Head series. He has won eight of his past nine sets against the Spaniard. In the next round, Zverev will face Romanian Marius Copil, who ousted #NextGenATP American Taylor Fritz 7-6(6), 7-5. The qualifier, who has not lost a set in qualifying or the main draw, advanced to his first ATP World Tour semi-final and final earlier this season in Sofia, ultimately losing to Mirza Basic in the championship match. Copil is currently No. 93 in the ATP Rankings, but he also defeated London hopeful and third seed Marin Cilic in the second round. Against Fritz, Copil struck 18 aces and saved 10 of the 11 break points he faced to advance after one hour and 52 minutes. Sloane Stephens has reached the semi-finals of the WTA Finals after knocking out German top seed Angelique Kerber. The American has won all three of her matches in Singapore and saw off world number two Kerber 6-3 6-3 to set up a last-four match with Karolina Pliskova. Japan’s US Open champion Naomi Osaka retired from her match against Kiki Bertens with a thigh injury after the Dutchwoman took the first set 6-3. Bertens will face Ukraine’s Elina Svitolina in Saturday’s other semi. “I knew it was going to be a battle against one of the toughest players on the tour,” said Stephens, 25, who topped her group with the win and recorded her fifth straight victory over the reigning Wimbledon champion. The four lowest-ranked players have progressed to the semi-finals in Singapore, with Kerber and Osaka eliminated along with Caroline Wozniacki and Petra Kvitova from the other group. Osaka took a medical timeout at 5-3 down in the opening set and, after Bertens won the next game to take the set, the 21-year-old conceded the match. “I saw her in the match before that she was struggling a little bit with the hamstring, and of course she was taped today, but I think in the beginning she was still OK,” said Bertens. Osaka was ranked as low as 72nd in the world in January, but has enjoyed a rapid rise, culminating in her US Open win in September. The world number four’s maiden Grand Slam singles title at Flushing Meadows was overshadowed by Serena Williams’ outbursts at the umpire. World number three Caroline Wozniacki speaks out about being diagnosed with rheumatoid arthritis, but says she does not want it to “hinder” her. For the first time in men’s professional tennis, Video Review will be used by officials at the Next Gen ATP Finals, the ATP’s ground-breaking season-ending event for the world’s best 21-and-under players, set to take place in Milan, Italy, from 6-10 November. The Video Review, delivered using advanced Hawk-Eye technology, will provide opportunities for players to challenge any judgement calls from the Chair Umpire such as Not-Ups, Foul Shots, Touches, or Invasion*. The incorporation of Video Review in Milan represents the latest innovation by the ATP at its bold and ambitious season-ending event for the best 21-and-under players in men’s professional tennis. The Hawk-Eye technology behind the Video Review will use video feeds from all television cameras so that the Video Review operator can quickly search footage to find the correct angle for the decision to be made. The relevant footage will be sent to the Chair Umpire’s tablet who will review the video and decide whether to uphold or overturn the original call. All relevant footage will be played out to the in-house spectators on large video boards in real time, as well as on broadcast, to take the audience even closer to the action. There will be no limit to the number of Video Review challenges a player is able to make. Future use of Video Review could include decisions on whether to award the point or replay the point in the case of a corrected out to good call by an official. In Milan, however, such instances will not arise as all calls made by Hawk-Eye Live are final. 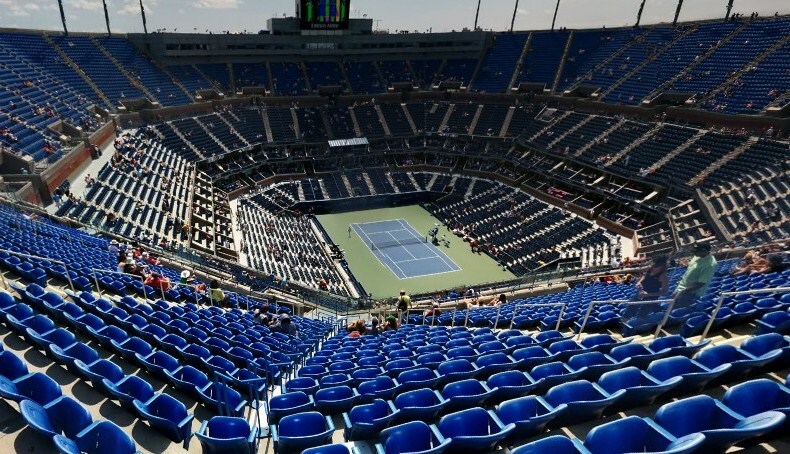 The 2018 tournament will continue with many of the innovations trialed at the inaugural event, with the addition of the Video Review, a further reduced warm-up (4 minutes), as well as the incorporation a towel rack at the back of the court which will remove the onus on all ball kids to handle player towels. 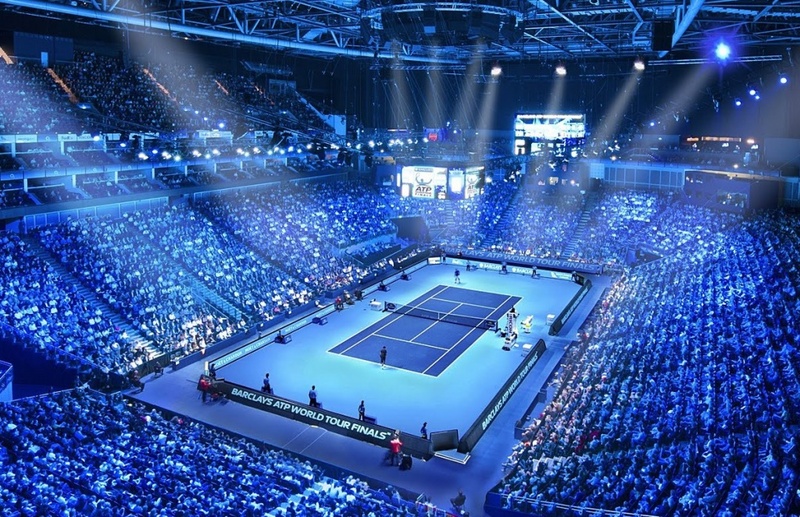 The 2017 edition of the Next Gen ATP Finals, held in partnership with the Italian Tennis Federation and the Italian National Olympic Committee, was one of the boldest integrated presentations of innovation in sport to date. The tournament, which is set to stay in Milan through to 2021, comes at a key time when innovation is being widely considered across the highest levels of the sport. The success of the inaugural tournament was recognized at the Yahoo Sports Technology Awards in London, where ATP & ATP Media won the Most Innovative Governing Body or Rights Holder Award, as well as at the Leaders Sports Awards, where the tournament was recognized with the award for Best Innovation. •	Foul Shots – for example, deliberate double hits or carry; or hitting the ball before it has passed the net; the ball, prior to bouncing, hits a permanent fixture; or the racquet is not in the player’s hand when touched by the ball. •	Touches – ball skimming racquet, clothing or body; or if a player, or anything he is wearing or carrying, touches the net, net posts/singles sticks while the ball is still in play. •	Invasion – player, or anything he is wearing or carrying, touches the opponent’s side of the court while the ball is in play.